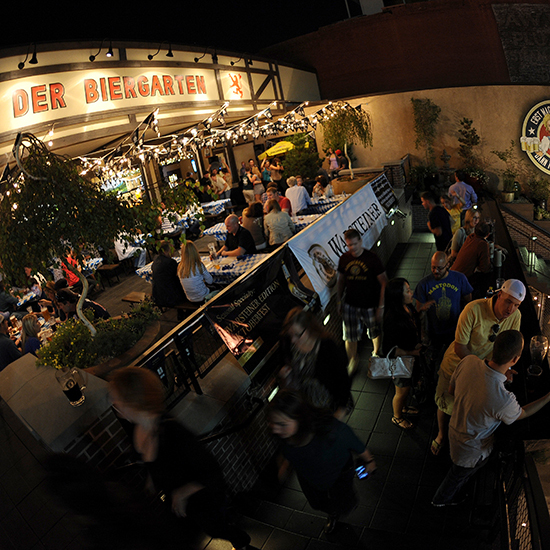 A traditional German beer garden is little more than a shaded grove with picnic tables, but US chefs and restaurateurs are enhancing the concept with spectacular food and design innovations that range from whiskey-barrel tables to a multimillion-dollar retractable roof. 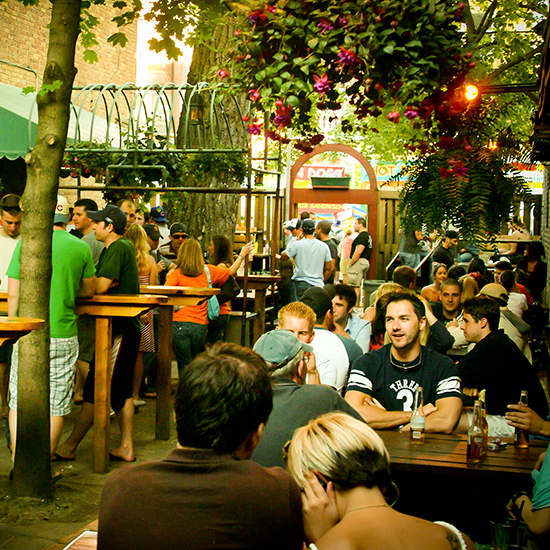 Here, the best beer gardens in the U.S. 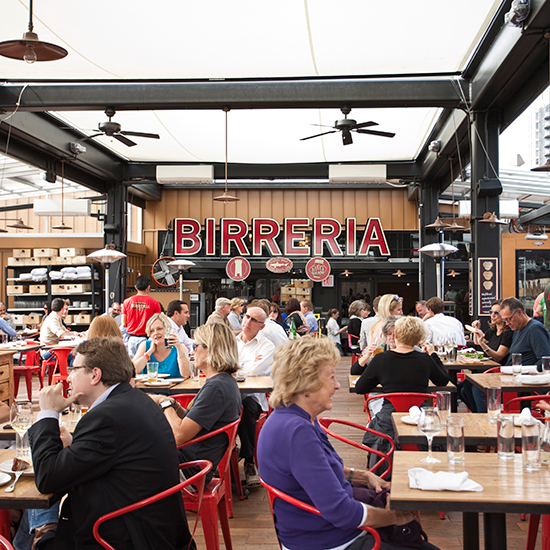 This retracting-roof bar is an airy escape above the bustle of Mario Batali’s maximalist Italian market complex, Eataly. The draw for beer lovers, however, is the brewing program. Two top Italian brewmasters and Dogfish Head’s iconoclastic Sam Calagione collaborated with on-site brewer Peter Hepp, Jr., to make a series of remarkable cask-conditioned ales, like one brewed with fragrant Italian thyme. eataly.com. Established in 1910 by a Czech community group, Astoria’s Bohemian Hall is today one of New York City’s quintessential summer hangouts. 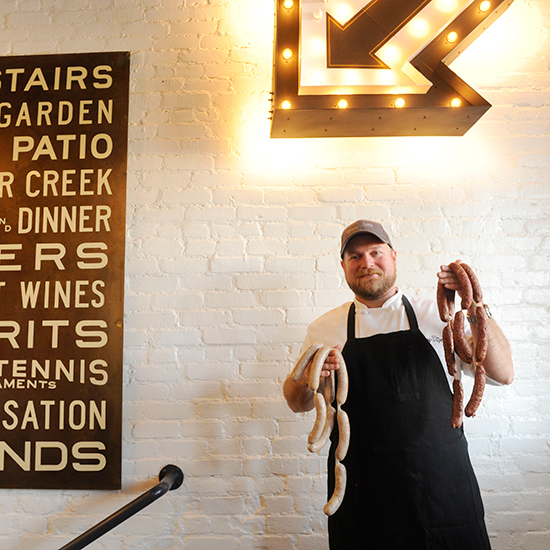 Patrons eat Slovenian kielbasa sausages with $16 pitchers of refreshing beers like Krusovice pilsener. bohemianhall.com. This beer garden-bakery is the newest project from Top Chef Season 9 competitor Andrew Curren, and the chef’s enthusiasm for well-done comfort food comes through in thick sandwiches piled with house-made corned beef and pastrami. The upstairs bakery, headed by expert baker David Norman, also turns out chewy pretzels and flaky pastries, including the signature Tiger Claw with its spiced pecan filling. 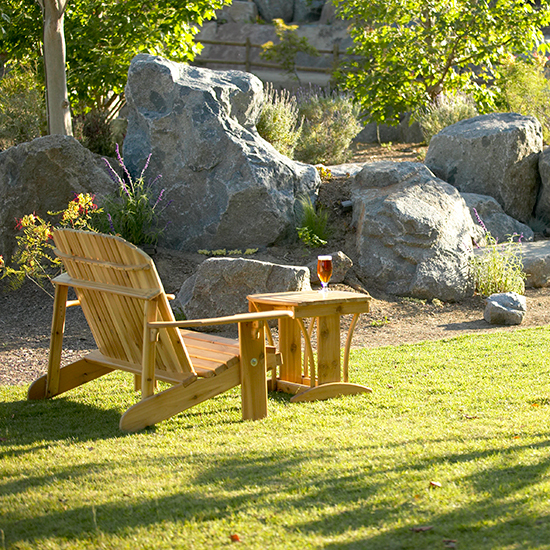 The garden offers 30 tap beers, like North Coast Brewing Co.’s lauded Old Rasputin Imperial Stout. easytigeraustin.com. This über-traditional German-style beer garden goes all-out during Oktoberfest, then gears up for Christmas with 26 trees and, it claims, more than 10,000 ornaments. 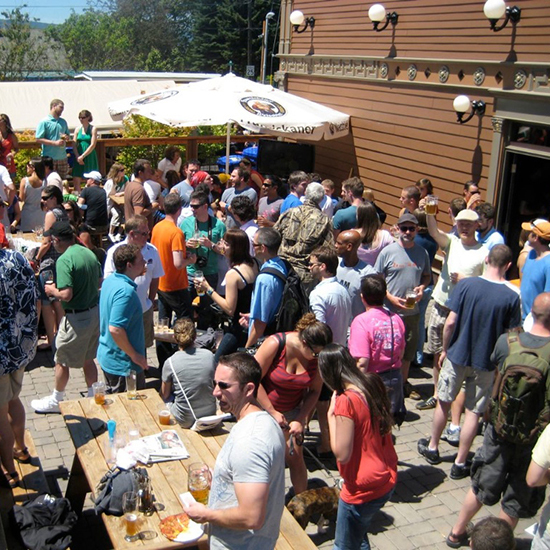 The bar boasts that it was the first in America to serve Germany’s ubiquitous Krombacher pilsner on draft, and the list also includes one of the country’s most refreshing wheat beers, Weihenstephaner. 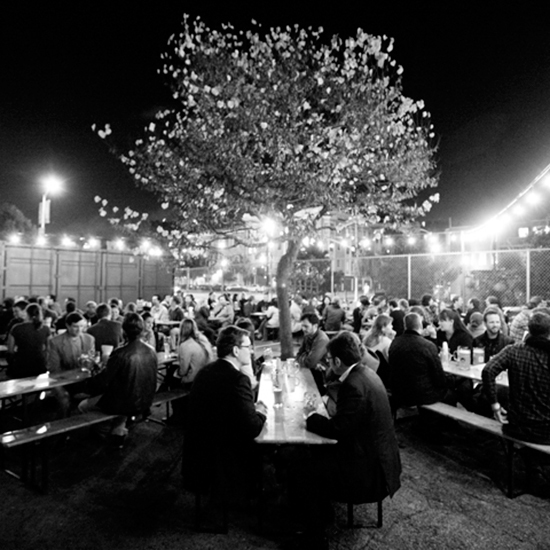 derbiergarten.com. 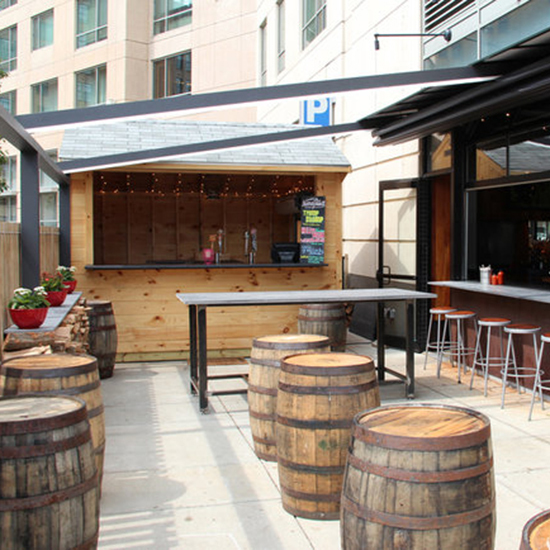 Top Chef competitor Tiffani Faison has added a homey outdoor space to her excellent barbecue joint near Fenway Park. Whiskey barrels serve as standing-room tables, and patrons can order from four rotating drafts and the full Sweet Cheeks menu. Faison's fatty Berkshire pulled pork is a favorite. sweetcheeksq.com. 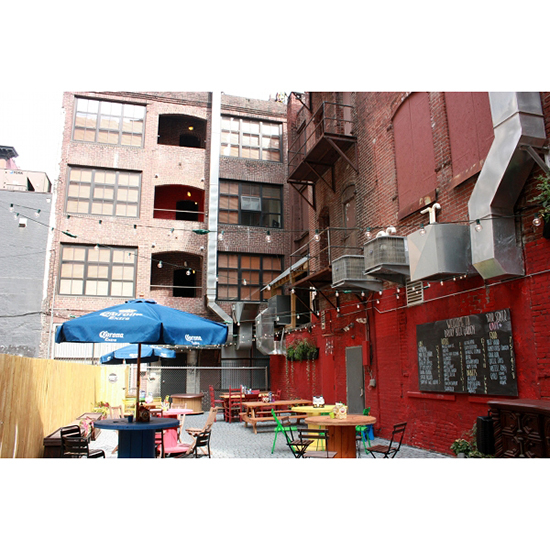 Philadelphia's hip Midtown Village now has an excellent urban beer garden. 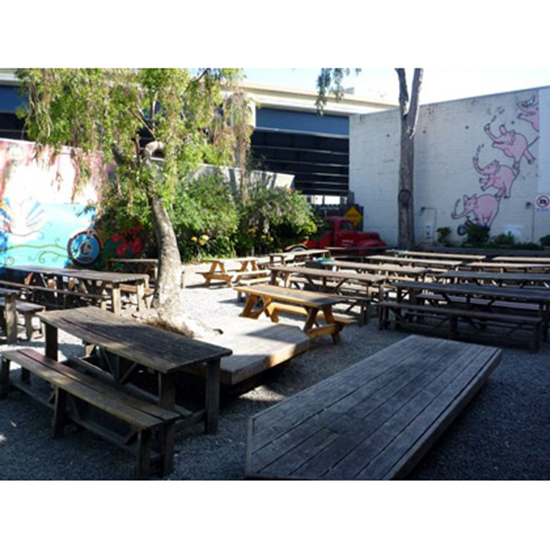 Greek restaurant Opa converted its backyard (a former parking lot) into a hangout with ping-pong tables and a short food menu that includes pretzels and mustard made with Dale's Pale Ale. Four drafts include the spiced Allagash White, and bottles include the excellent Saison Dupont farmhouse ale from Belgium. opaphiladelphia.com. Colorado's legendary craft beer industry is on display at this new 8,000-square-foot space, which offers draft beers and bottles from the state's top breweries, such as Avery, Odell and Left Hand. 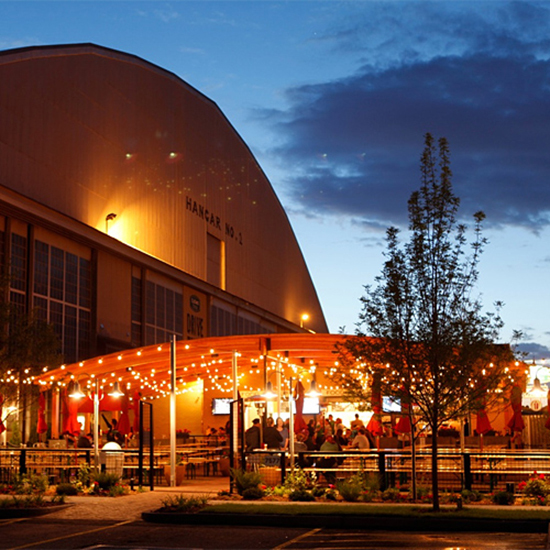 Located next to the Wings Over the Rockies Air & Space Museum, the bar is the latest addition to a converted 1939 Air Force hangar that currently hosts offices and a farmers' market. 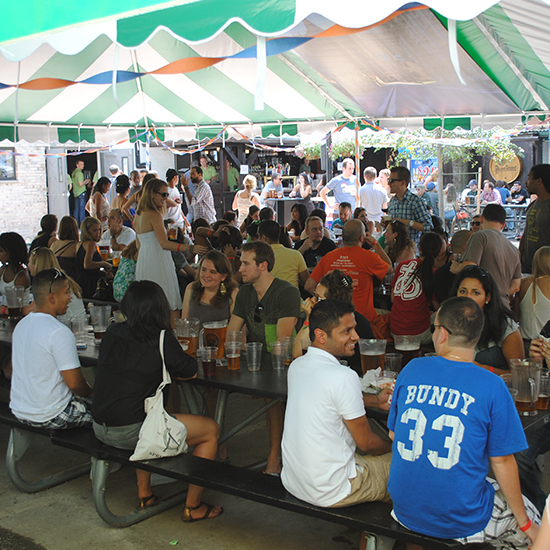 lowrybeergarden.com. 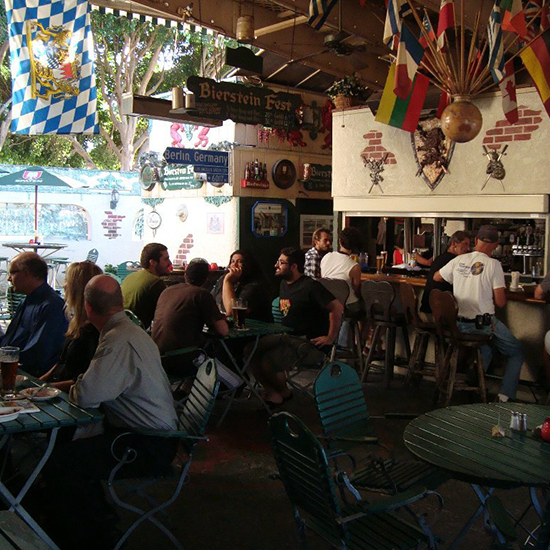 Yes, it’s the kind of German bar that offers beer in “das boot”—a large glass shaped like a shoe—but the Red Lion Tavern’s divey charm is one factor that makes it such a well-loved fixture (since 1959) of L.A.’s arty Silver Lake neighborhood. The airy upstairs garden offers a strong lineup of German beers, like the roasty-but-crisp Köstritzer schwarzbier. redliontavern.net. The name means “cheers!”—something frequently said over this bar’s large communal tables. Excellent wurst is on the menu, and the beers are all German—which sets it apart in the microbrewery-dense Pacific Northwest. prostportland.com. A focus on local breweries results in some excellent beers on draft, like Yazoo Brewing Company's unusual Gerst, a refreshingly clean-tasting, cool-fermented ale that could be mistaken for a lager. 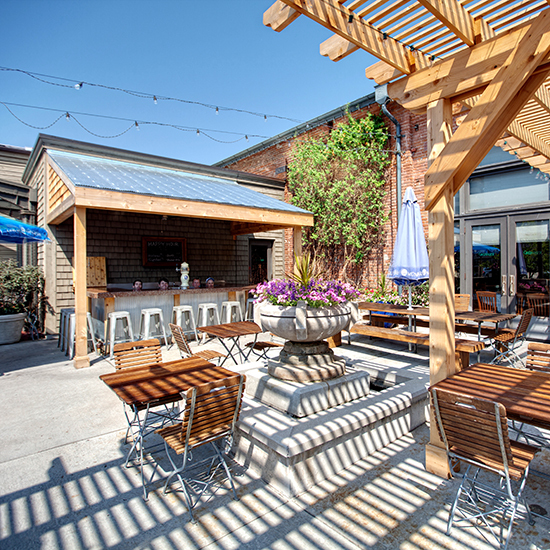 Built in a 1940s house, the bar's outdoor area consists of a large, covered wraparound patio. 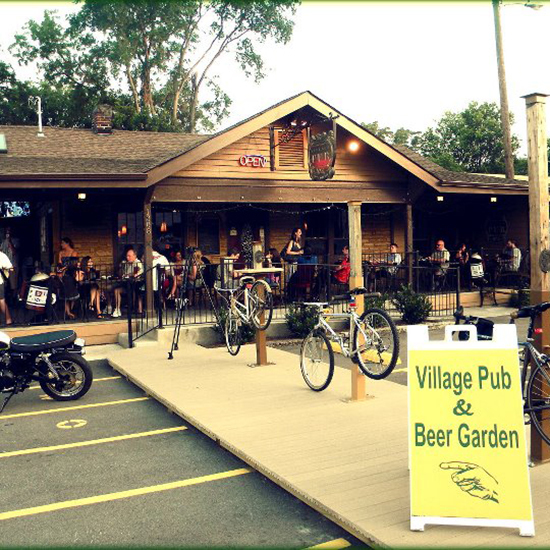 riversidevillagepub.com. A tasty Viennese-style menu (think Hungarian beef goulash and Sacher torte) is one draw at this hugely popular beer hall in Greater Downtown. Draft beers are largely German, though a convincing Weizenbock-style beer from California’s Lagunitas is also in the lineup. The wine list includes a number of excellent Austrian bottles, like the rich, floral Heidi Schröck Furmint. grunauerkc.com.